See also: "The Ecospiritual Challenge"
Happy Earth Day! We’re celebrating Earth Day Week today. Alachua County has designated the week of April 17 – 25 as Creation Care Week. Earth Day itself was Thursday, April 22. Did you celebrate? Did you exchange gifts with friends and family? Well, at least you sent your Mother Earth some nice flowers, right? No? You figure she’s got enough flowers? Well, then, you gave her a phone call, right? Hmm. If you’re like me, maybe you called collect. On this auspicious occasion, let me begin with a vocabulary word: “soteriology.” Soteriology is the branch of theology that deals with salvation. What saves us? Salvation, it is well to remember, comes from the same root as the word “salve.” What is it that heals us? What makes us whole? What sources are available to us for meaning and hope, inner peace? For mystery, awe, and wonder before the fullness of reality? For equanimity, awareness of the beauty of each moment, and the one-ness of all things? For loving-kindness, compassion, and a trust of our own intuitive wisdom? So I’m asking today: what is your soteriology? What is your account of what saves us, salves our woundedness, makes us whole? Salvation lies, I believe, in our connection with this world of ours. The salve for our woundedness, our fragmentation, lies in nature, in an ecological spirituality. And, oh, we are feeling the wound. A sense of doom permeates the zeitgeist of our age. On the right-wing this manifests in the Left Behind series of books and increasing talk about a rapture. On the left-wing it manifests as urgent warnings from environmentalists who describe impending catastrophe: climate change, melting icecaps, species extinctions from loss of habitat, impending shortages leading to resource wars. Maybe those environmentalists are right. I don’t know. Or, more precisely, what I don’t pretend to know or to even have any good guesses to share with you about how much time we’ve got, what factors the models have overlooked might buy us a few more years – and what behavior changes we will make that will make a difference. Forty years ago at the first Earth Day in 1970, many of the environmentalists giving speeches on that day didn’t expect our planet would last 40 years without ecological collapse. The good work of the environmental movement of the 1970s helped buy us some time. How much, we don’t know. 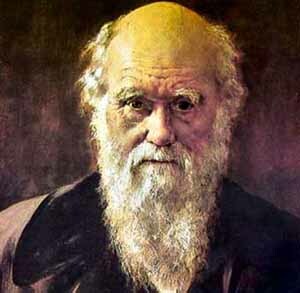 What I do believe the evidence is clear about is that we will eventually need to change our ways. Hard times are coming – we don’t know when, or how hard. We as a species are going to have to develop and adopt sustainable ways of living if we are to survive – and our present ways, particularly in the US, are not sustainable. Nowhere close. How much of the food you eat is processed, packaged, and not locally grown (more than 200 miles away)? Oh. Suddenly, I’m not so virtuous. I said about half, though really, it’s probably more than half. Do you have electricity in your home? Well, yes, in fact, I do. How many people live in your household? Three. Size of your home? I’m in the 1050 – 1600 square feet range. How far do you travel by car each week, as a driver or passenger? Well, we’re still racking up about 1,000 miles per month on our one car. I said: about 200 miles a week. How far by motorcycle? Zero. Gas mileage of the car you travel in most often? Ours is a small car. We get 30-40 mpg. How often do you drive in a car with someone else? Occasionally. How far do you travel by bus each week? By train each week? Zero. Last question: How many hours do you fly each year? Oh, I do go a fair number of plane trips each year. I estimated 10-25 hours. My results? I’m doing better than the average US resident. Just barely. If everyone lived like me, we’d need 4.8 planet earths to provide enough resources. The average US resident lives in a way which, if everyone lived that way, would take 5 earths. If everyone lived like the average Canadian, we’d need 4.3 earths, eh? Canadians do a little bit better than we do. Fortunately, a lot of countries do a lot better than we do and many are living within the planet’s resource means, which pulls the world average down. As it is right now, we need 1.4 earths – that is, the earth’s population of humans are utilizing resources faster than the earth can regenerate them. Every year we’re using 40% more resources than the earth created that year. Eventually, at this rate, we will use it all up. It’s an economic problem, and I’m not an economist. It’s a political problem, and I’m not a politician. I do have, as you do, political opinions, but I don’t have the kind of political connections to begin bringing world governments to the kinds of agreements we need. It's a technological problem because modern technology burns huge quantities of resources. At the same time, some technological advances help other technological advances use less. It’s a technological problem, and I’m not an engineer. It’s a spiritual problem. Ah. Now we can talk. Can we talk? A spiritual problem? Oh, yes, indeed. Connecting to the sacredness of the earth is what saves us – and it’s also what will save the Earth, if it will be saved. I am a Unitarian Universalist. I am in a sacred covenant with every other Unitarian Universalist in this world, to, among other things, affirm and promote respect for the interdependent web of existence of which we are all a part. That is a spiritual statement and a spiritual act. 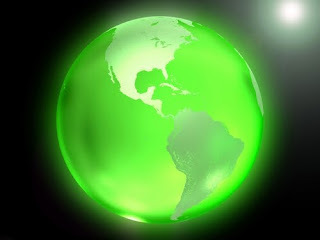 Environmental action is spiritual practice, and environmental protection is a spiritual mandate. Our relationship to our planet is as much a religious issue as our relationship to our soul is; as much a religious issue as our relationship to God is. Indeed, for many of us, our relationship to our planet is both our relationship to our soul and our relationship to God. Every religious tradition on the planet includes a deep belief-tradition of respect and honor for our planet. Indeed, “deeply embedded in our human consciousness is a primal awe and gratitude for the air, water, solid ground, sunlight, and nourishing life forms that sustain” us. Our ancestors have “stood in awe of these at our most sacred ceremonies” for maybe a million years. Our awareness of being bound in a relationship of responsibility with our planet is religious awareness. Acting responsibly within that relationship is religious practice. To ignore what is happening to our home – out of hubris or out of despair – is to break our connection to the holy whole, to break faith with the ground of our being. Environmental protection a religious issue? If it isn’t, then there are no religious issues. Amidst the many trends – the resource depletion, the pollution, the greenhouse gases, there is this hopeful tend: religion is greening. There’s green religion and then there’s what University of Florida professor Bron Taylor calls dark green religion. Green religion “posits that environmentally friendly behavior is a religious obligation.” A number of Christian, Jewish, or Muslim groups have in recent years shifted away from the idea that humans have been granted dominion over the earth and toward the idea that God calls us to stewardship, and that this stewardship is measured by health ecosystems and sustainable, responsible consumption. That’s an important shift. There are also an increasing number of people who are going beyond green religion to dark green religion. For dark green religion, it’s not merely that we have a religious obligation to protect ecosystems, reduce consumption, and in general be responsible stewards of our environment. Rather, in dark green religion nature itself is sacred, has intrinsic value, and is due reverent care – not simply because it is God’s creation and God tells us to, but because nature tells us to, and nature has that authority based on being sacred in itself. Another of the New Atheist crew is Christopher Hitchens, who, for my money is the crankiest of the cranky, a man who seems either to be, or to have carefully cultivated an image of being, joyless and permanently annoyed. 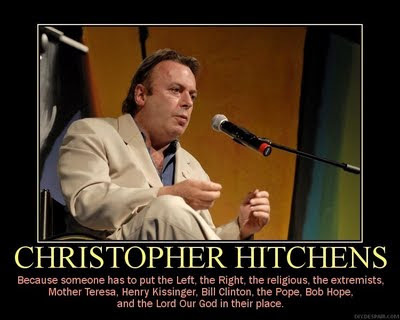 Christopher Hitchens said that! Who knew he had it in him? The article inside -- by Bron Taylor – analyzes surfing as aquatic nature religion and quotes from a number of surfers who understand their practice as spiritual. As one surfer put it: “The ocean has a powerful energy and it connects you to the earth.” Dude! The New Atheists have got dark green religion. It’s possible to be a politician and have it. Disney and Hollywood have got dark green religion, in some of their products. Surfers have dark green religion, some of them. It’s popping up all over the place these days. Dark green religion has no single sacred text. It has no institutions. I asked Bron Taylor about institutions: do we need there to be places – buildings and memberships – where people gather for ceremonies to express and affirm the sacredness of nature? He said, it’s infusing a variety of institutions, various church denominations are beginning to embrace it, environmental organizations are increasingly speaking a spiritual kind of language about the earth they seek to protect, and dark green religion is expressed in all manner of ways in books and movies and theme parks where people are jazzed up, or awed by the majesty and sacredness of our blue-boat home, and sent out into the world without ever taking the step of being a member of an organization. That’s rather encouraging, really – this trend all around us toward dark green religion. But we will need institutions if we are going to make it through the hard times that are coming. - an institution: an ongoing pattern of being together through which there is, (a) awakening of the spirit, and (b) encouragement to action in line with our spiritual values; and these two, the (a) and the (b), the spiritual and the action, are mutually reinforcing. Unitarian Universalism has always been about living our religion, and religioning our lives. Awaken to the sacred depths of nature. Express your worship also through acts of care for our mother, for Earth, for Gaia. Re-commit today to this faith of awe and wonder and openness to whatever this universe may bring us. Re-commit today to actions of care, of compassion for our planet home. That’s what the paper leaf inside your Order of Service is for. Write on it. Write down your commitment. Write down what you’re going to do as an act of love and an act of worship that will reduce your footprint. During our closing hymn, and then on into after-the-service, come on up and attach your leaf to the large bare-branched tree banner at here at the front of the sanctuary. That’s our altar, and this is our altar call to every one of us. Take some action, rise to whatever for you is the next challenge in living more wholesomely, not because you actually expect it to do any good. Do it because it might. Do it because it’s sure to do this good: you will be more whole, more spiritually alive, the more you replace mindless consumption with mindful consumption. And begin, as Joanna Macy says, with gratitude. That’s a soteriology for our time. A earlier version of this was preached at the Unitarian Universalist Fellowship of Gainesville, Florida, 2010 April 25.